Stronger ties will give Hanoi a boost and strengthen New Delhi’s hand. A visit earlier this month by its President Pranab Mukherjee saw India sign several memorandums of understanding with Vietnam. Among them, the extension of a line of credit worth $100 million on defense procurement is particularly significant. This deal gives defense relations between India and Vietnam another shot in the arm, and has important implications for both countries. As India enters the third decade of its Look East Policy, its engagement with its eastern neighbors has both widened and deepened. India has comprehensive bilateral partnerships in the region, as well as multilateral relationships through ASEAN. New Delhi’s defense diplomacy in the region has made strides in the last two decades, such that India is now considered an important and welcome security partner in Southeast Asia. India’s regional cooperation in defense has generally entailed high-level visits, participation in multilateral exercises, port calls, assistance in maintaining military hardware, and cooperation in training. Defense ties with Vietnam are already robust, with India helping Vietnamese forces, especially the navy, build capacity. Bilateral cooperation is comprehensive, facilitated by the fact that both India and Vietnam largely rely on Russian military hardware. For example, India is able to repair Vietnam’s MiG aircraft. 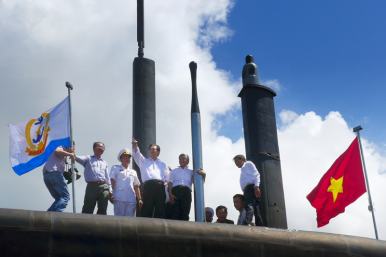 Since 2011, India has been providing the Vietnam People’s Navy with submarine training. The Indian Navy has also assisted in technical training and vessel construction, and India may start training Vietnamese air force pilots on the Sukhoi 30-MKI fighter and sell Hanoi the BrahMos cruise missile. The extension of credit to Vietnam furthers this defense engagement. India is emerging as a credible partner, with frequent requests that it play a more active role in regional security. Through defense cooperation, India can entrench itself in the regional security architecture and assert itself in the east. The extension of $100 million in credit for defense purchases will also prove significant for Vietnam, which has been trying to modernize its military since the early 1990s. During the 70s and 80s, Vietnam developed capabilities that put it ahead of its regional neighbors. Progress was derailed, however, in 1987 with the withdrawal of Soviet assistance. The Soviet Union had been Vietnam’s primary security partner, and the cooperation allowed flexible modes of payment. But the reforms of Mikhail Gorbachev scaled back Soviet military assistance, marking the beginning of an era of stagnation for Vietnam’s military, even as other Southeast Asian militaries began to rapidly modernize. The crisis became so severe that Vietnam had difficulty making the most basic defense expenditures. In response, Hanoi began expanding its search for defense partners, seeking cooperation from non-traditional partners, while continuing its engagement with traditional allies like India. At one point, Vietnam had the fifth largest army in the world. Even today, its military is numerically the largest in Southeast Asia, but now others like Singapore’s are technically superior. Vietnam’s military has traditionally been a land force trained primarily for guerrilla warfare. Its air force and navy are best suited for a self-defense role, with limited territorial reach. Current capabilities are not considered sufficient to put up a robust defense, or even display an effective deterrent. Vietnam is thus trying to rapidly modernize its forces. In recent years, it has focused on adding to its naval hardware by acquiring Kilo-class submarines, patrol boats, Gepard-class frigates, fast attack craft, air-defense systems, and other equipment. While the details are not yet clear, it is likely that Vietnam is planning to purchase air and naval defense hardware. In the past, Vietnam has lacked the financial wherewithal to make purchases such as these, or has had to barter and offer partial payment. India’s extension of credit will certainly help loosen Vietnam’s financial constraints. Amruta Karambelkar is M.Phil scholar at the Centre for Indo-Pacific Studies, School of International Studies, Jawaharlal Nehru University, New Delhi. India is seeking to counter Chinese ambitions by training and supplying Vietnam’s military.